A Chocolate Gonzo in a Cluster Fudge. 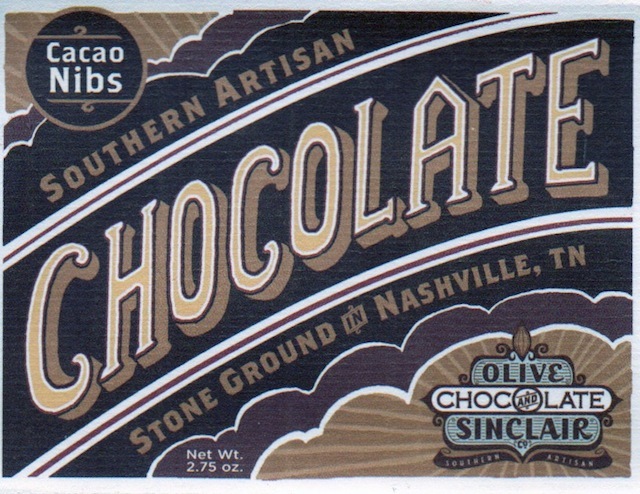 Consider this the tale of Boris Glickman from the top of that hill where he saw, to his keen amusement, that what was before him was not a town on the outskirts of Appalachia at all, but rather a chocolate bar of some kind that passed itself off as an urban conglomeration. 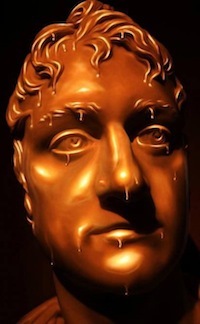 Boris already knew that chocolate is an excellent mimic, highly evolved & elastic, & that it often impersonated, for attraction & propagation purposes, all sorts of shapes & sizes & sculptures to appeal to the senses. He realized that it now has taken mimicry to the next level & has started to imitate whole cities. What were its motives for doing so, he wondered. What was it trying to achieve by that? Which other objects or cities were actually camouflaged chocolates? Perhaps the Earth itself or, indeed, the entire Universe was just chocolate in disguise? Now he could see that all those crazy conspiracy theories were right when they claimed that an organisation has spread across the world & has penetrated all strata of societies with its influence. Except, nay, those were evil bent. This went much farther than that -- above & beyond. It no longer was the case of a cabal controlling our world; rather our world literally was one & the same as this bar. What if he himself were just a snicker on one of its scored portions? That would certainly explain why he has so often been vulnerable in the past & has been so easily seduced. Could that be the reason the C-spot™ sent him for a vacation to this “town” in Tennessee where Olive & Sinclair operates – so that he would gain insight into our own nature as well as into the true character of creation? Pretty much a straight liner: chocolate in / chocolate out, down & back. Hardly any progression at all really. The kind of single-dimensional flavor that Ghana in particular & West Africa cocoa generally built its rep upon. Not since Bernachon's blends (many based on West African seeds) or Richart's Côte d'Ivoire has such a streaming Naked Flavor Profile come from that area of the world. 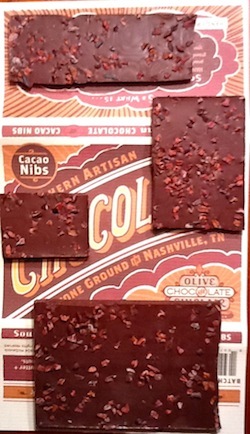 Nibs here lend mostly a Textural element as the smoother chocolate subsumes their flavor, a measure of lightly roasted to the crunch (& stylistically quite the opposite of Chris & Tom's own Ghana with Nibs). As its name promises, they do fortify the structure however, stacking the CQ (for Chocolate Quotient or chocolate essence free of any / many nuances or over & undertones) in a double rigging. Brown sugar then, with its own blackstrap component intact, just reinforces an excellent construction.